1. 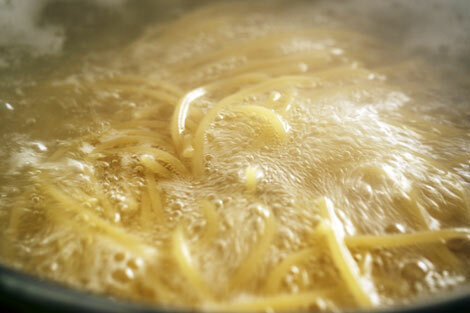 Cook the spaghetti in a large pan of slightly salted boiling water according to pack instructions. 2. In a frying pan add the pancetta or streaky bacon and heat gently for a few minutes until the fat starts to run from the meat. Turn up the heat and add the garlic. Cook for around 3-4 minutes until the pancetta or bacon is nice and crisp. 3. Break the eggs in a large bowl then add the bacon and garlic mixture. Next add the Parmesan cheese and season with salt and black pepper, whisk until well blended. 4. 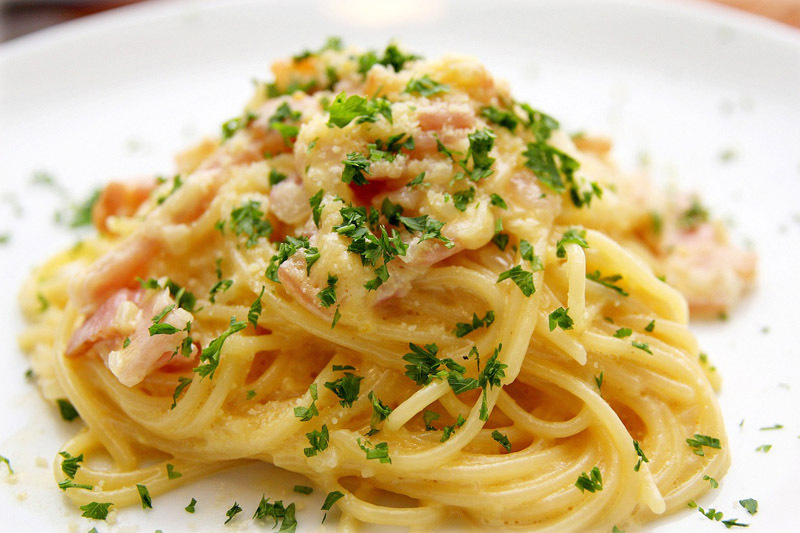 Drain the spaghetti once cooked and return it to the hot pan immediately. Stir in the bacon and egg mixture and toss quickly until the egg just begins to set. Stir in the single cream and chopped fresh parsley and heat very slowly and gently for about 1 minute. Serve at once. Thank you to Helen Wilkinson for this recipe.